Deerfield Realtor explains Deerfield Real Estate market. 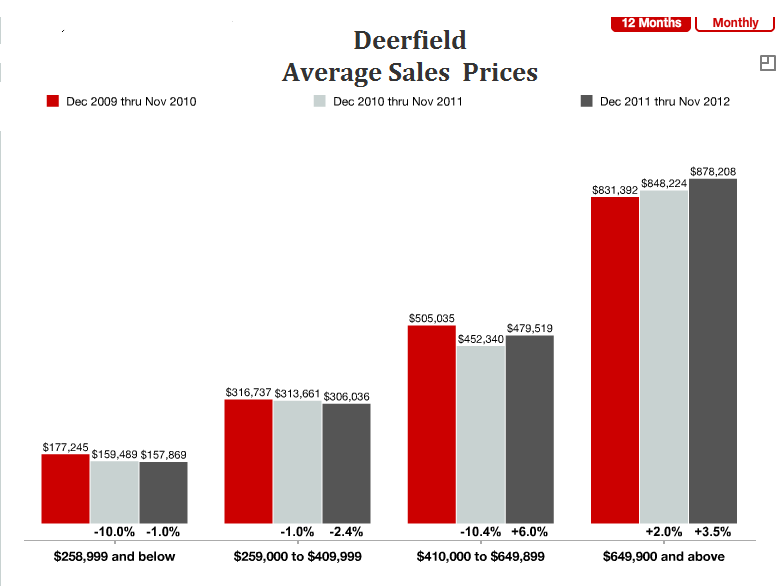 Deerfield is one of the most highly desirable suburbs of Chicago. Because of its Close proximity to all major highways and tollways, top notch schools, a wonderful park district, and great shopping, Deerfield is a great choice for many young families moving to the suburbs. Because of these factors, Deerfield's real estate market, and I alsomean real estate market prices are increasing steadily. Now is the time to buy before it is too late. In the last year, prices have increased by 5 percent for high end homes.